San Felipe furnished two bedroom two bathroom vacation rental condo nestled in San Felipe's La Hacienda community. Featuring two floors with a bedroom on each floor, there are three beds - one queen bed in the master bedroom and two twin beds in the second bedroom. The number of beds can comfortably sleep 6 - 8 guest depending on age. Maximum occupancy is 8 guests. Guests may bring air bed if more comfort is desired beyond the provided three beds. Living room has comfortable seating. Kitchen has all the essentials for preparing and enjoying meals including pots and pans, plates and silverware. 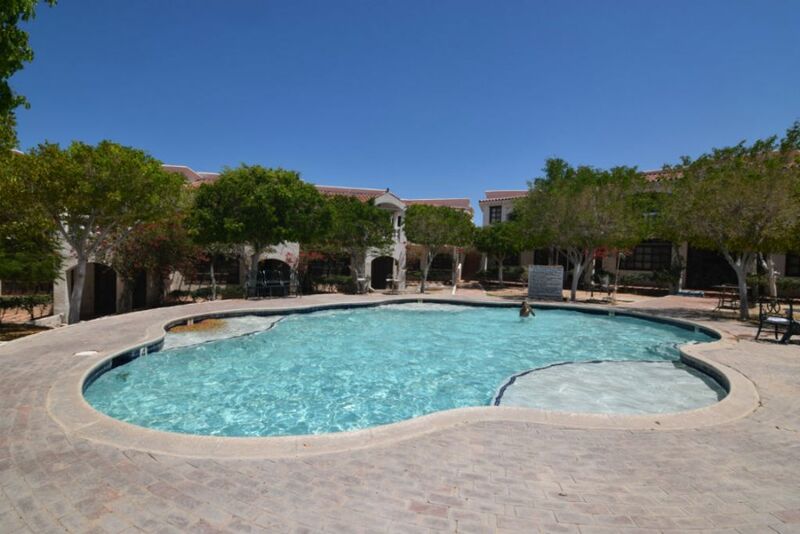 This vacation rental is one of 20 vacation rental condos built around a large swimming pool. Surrounding the pool area are lots of trees making it ideal for picnics and relaxation. Feel like grilling? A large BBQ grill is provided close to the pool. This unit's community entrance is closed at all times, Only residents and guests have access by scanning a special card that will be given to you upon arrival, you'll have 2 cards available per unit, leaving a $50 dollar deposit for each card which is 100% refundable!! As a beach side community, the beach just a short walk away. - Me realizaron el cobro de 55 dls para el mantenimiento cosa que nunca hicieron. Deben mejorar bastante para ofrecer un servicio de este tipo.